A favourite destination for couples, families and solo travellers, this three-star hotel is located within serene surroundings and offers a comfortable stay to its guests. The spacious one-bedroom apartments are tastefully decorated rooms and well equipped. The hotel has large gardens with exotic plants, and a solarium, where guests can relax and several other amenities for a memorable stay in ultimate comfort. 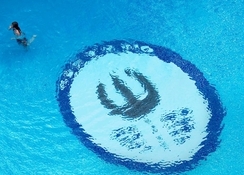 The hotel houses three swimming pools and a kids paddle pool, which is heated during winters. 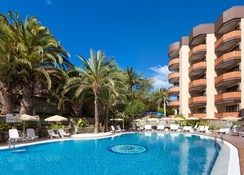 Free shuttles to the beach and proximity to a large commercial complex is what makes Aparthotel Neptuno the perfect accommodation choice in Costa Adeje for a fun-filled holiday. 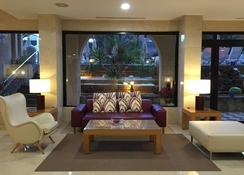 Aparthotel Neptuno, in Costa Adeje is located just 400m from the largest commercial centre Big Sur in Southern Tenerife and within walkable distance of the beach and the main street. Most of the shops, restaurants and cinemas are within easy reach. The Tenerife South Airport is only 17.5km from the hotel, making it convenient for the guests to board their flights on time. 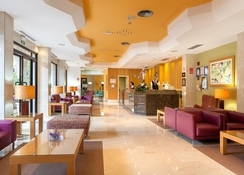 The Neptuno Hotel features 170 comfortable, standard double and single rooms, all of which have been newly renovated. All rooms have air conditioning, a complete bathroom with hairdryer, flat screen satellite TV, direct-dial telephone, three music channels, electronic locks, electronic safe, mini-bar, free coffee and tea-making facilities, and a furnished balcony. 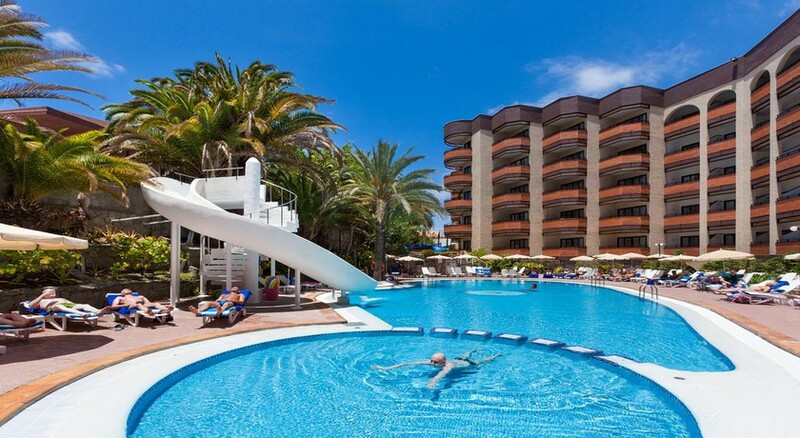 Neptuno Hotel offers a choice of half board or all-inclusive accommodation. The main restaurant Nautilus offers an excellent buffet breakfast between 8am – 11am, dinner from 6:30pm – 10pm, offering a wide variety of hot and cold international dishes. For lunch, La Sirena has various Spanish and international dishes on its menu. Twice a week, a thematic lunch, either barbecue or paella, is served. The Sotavento Bar serves exotic cocktails and other drinks in a relaxing and elegant atmosphere. The hotel has three swimming pool plus a kid’s paddle pool, where you can also find sun loungers that help you relax while having refreshing drinks from the poolside bar. A solarium lined with parasols and loungers are there for guests to lie in the sun. A spa resort where you can enjoy a thermal circuit or get relaxing massages and therapies. The fully-equipped fitness centre in the hotel will enable the guests to maintain their fitness level. For kids, there is a playground and there are facilities for sports like billiards, badminton, foosball and table tennis. The hotel has free shuttles to the beach, where guests can take part in thrilling water sports. In addition to this, the hotel provides live music and entertainment shows to the guests every Tuesday from 7pm.